Can I make a program that is accessed by multiple clients? You can design exercise programs that are accessed by multiple clients. Note: you will not be able to track each individuals compliance and pain with this option. If you would like to do this, it is recommended you save this program in your pre-set program library, and assign it to each individual client. Go to Library > Exercises and design your program. 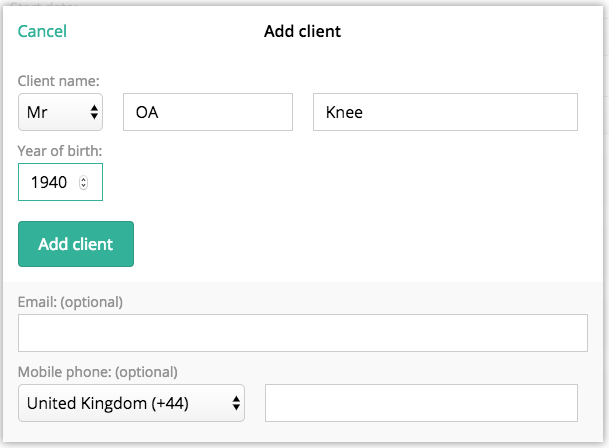 Enter a fictitious name of a client, and assign the program (eg FIRST NAME: OA, SECOND NAME: Knee). Set the program duration to be as long as you like, and note this down somewhere in your calendar. 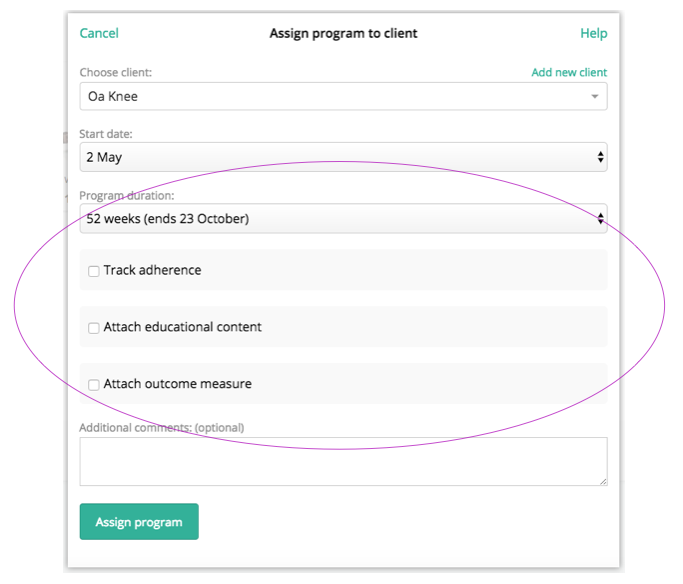 Turn off all tracking and don't attach outcome measures. Press "Assign program" and note down the access code. You can now share this access code on your website. Clients can login to your program from PhysiApp for iOS, web and Android. Where " abcdef" should be replaced by the access code of your program. Note: do remember to renew or restart this program once it has ended and update the access code. Physitrack does not allow for exercise programs with an infinite duration. Warning: do not add any custom instructions, content or messages to this program, as it can be viewed anonymously.